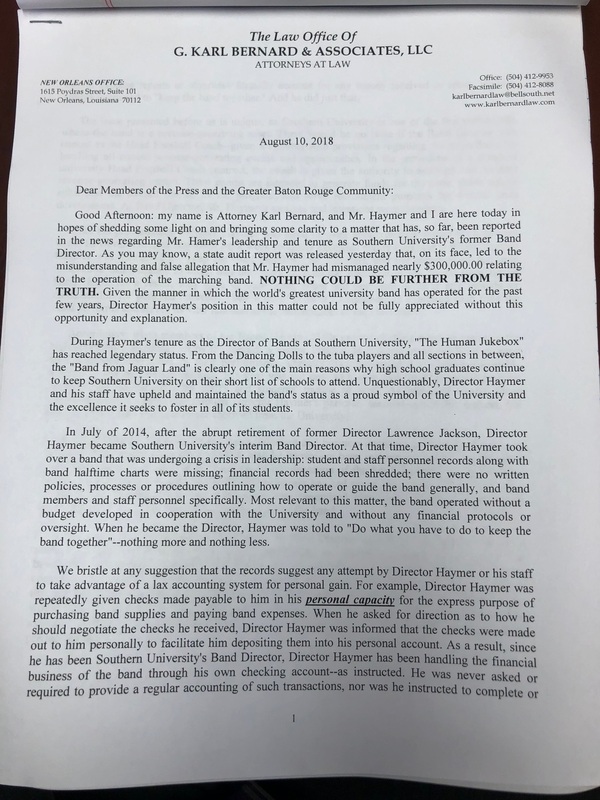 UPDATE: Southern has released a statement in response to former band director Nathan Haymer after he held a press conference Friday to defend his handling of school money. In the statement, the school says Haymer has yet to hand over information he had promised in reference to the conference. It also claims the former school employee is "misleading the public". "I am disappointed in the representations of Nathan Haymer’s counsel. We have spoken to his counsel on numerous occasions for the past few months in an effort to provide him an opportunity to explain his client's actions. We provided him with a complete copy of the final audit of band camp more than a week ago. Now, he is misleading the public again by using the University's policy on travel advances to justify his mishandling of revenues generated by band camp. Band camp has always been a University program unlike our athletic camps, which many of our coaches have negotiated as part of their contracts. We are still awaiting the information that he has promised us as referenced in his press conference. However, in the absence of such information the University is required to seek all redress available under the law." BATON ROUGE – An audit is questioning $300,459 worth of university band money deposited into the personal bank accounts of former Southern University band director Nathan Haymer. The audit was released to the WBRZ Investigative Unit as part of the watchdog journalism team’s ongoing series of reports about Haymer. 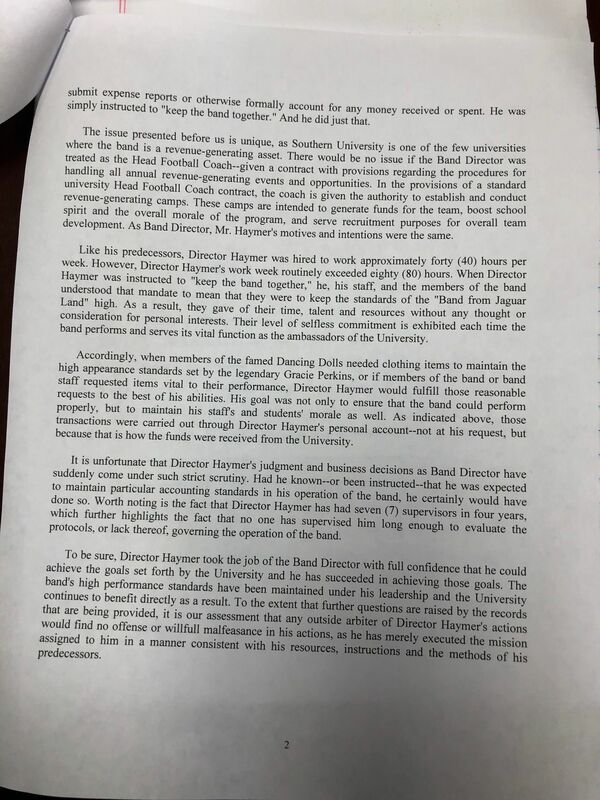 Haymer was fired months ago after a previous WBRZ story about questions related to payments made directly to him by Mardi Gras parade krewes where the band played. Details of the audit come after WBRZ requested public information related to band funds months ago. Of the $300,459 Haymer deposited into his personal bank accounts, $41,081 was funneled back to Southern University. The $41,081 was paid to Southern in two cashier’s checks. The more than quarter-of-a-million dollar sum is money collected from high school band camp, Dancing Dolls tryouts and fees paid by band members. The audit revealed much of the money was unaccounted for – $226,426. The audit conducted by the school spanned now back to 2015. On Friday, Haymer held a press conference to address the audit, saying "nothing could be further from the truth", in reference to the reports that he mismanaged hundreds of thousands of dollars. You can read the letter Haymer's attorney released in conjunction with the conference HERE and HERE. It found in 2015, Haymer set up an internet-based service for collecting fees and information about participants in band activities. Approximately $85,000 was deposited into accounts controlled by the university. But, "during the month of July 2015 until May 2018, [Haymer] initiated changes with the cloud-based service, instructing the service to either make checks payable to [himself] or wire transfer the funds into two... personal bank accounts." Auditors said Haymer’s attorney provided bank documents but the paperwork was incomplete of the scope of the inquiry and could not be verified because there was no supporting documentation or details. The investigation covered approximately 25,000 emails and financial statements. A copy of the audit was turned over to the district attorney over possible misappropriation of funds. Haymer has two attorneys – his brother, Niles Haymer, and Karl Bernard. Bernard said Thursday, "The allegations are false. 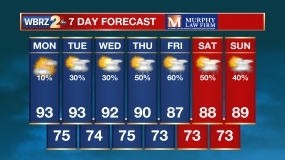 We are working with the board to resolve all of this. It's not as plain and simple on the surface." When asked if Haymer deposited money into his personal accounts, Bernard said yes. "There is more to this issue than meets the eye. The devil is in the details. We are going through the bank records to determine the expenses." Earlier this year, WBRZ reported Haymer was at the center of allegations he took kickbacks from krewes to schedule the world-famous Human Jukebox band to perform at events. Then, sources told the WBRZ Investigative Unit Haymer told krewes to make checks payable to him. Krewes included New Orleans’ Zulu, Bacchus and Femme Fatale.